Dr. Hussein has been a Dover, Delaware area pediatrician since 2005, opening this practice at our location in January of 2015. He began his medical career as an anesthesiologist in Egypt. After moving to the United States, Dr. Hussein pursued his pediatric residency training in Washington, DC at Howard University and George Washington University. He is a Board Certified Pediatrician and a Fellow in the American Academy of Pediatrics. Dr. Hussein is married and has three children. He can often be found at band competitions, following his children’s love of music. In his limited leisure time, he enjoys fishing. Dr.Julia Pillsbury began her career as an RN in Philadelphia. She later graduated from the Philadelphia College Of osteopathic medicine. She completed her residency at Fitzsimmons Army MedicalCenter in Denver, CO and served in the Air Force prior to coming to Dover. Dr. Julia Pillsbury has been the owner of CPAM from1991-March 31, 2018. Kim Ford FNP-BC, NP-C will be joining the practice in early March. Kim is a 1999 graduate of Caesar Rodney High School, and a 2003 graduate from the University of Delaware, where she obtained a bachelor’s of science in nursing. 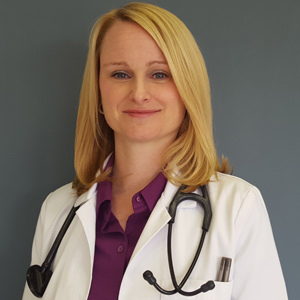 Kim has worked as a registered nurse in the emergency and trauma services specialties for the last 13 years, graduating with her master’s degree in nursing this past summer from the University of Delaware’s Family Nurse Practitioner Program. She is double board-certified as a family nurse practitioner by both the American Academy of Nurse Practitioners and the American Nurses Credentialing Center, and holds additional certifications in advanced cardiac life support, pediatric advanced life support. Kim lives with her husband and two daughters in the Dover area. She enjoys rooting her daughters on in their competitive gymnastics and all-star cheer leading competitions, spending time at the Delaware beaches in the summer with her family, and doing lots of camping! Kim will join Dr. Hussein, MD as a full time provider in the practice. 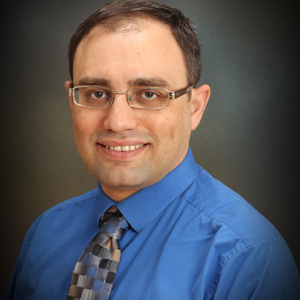 Dr. Hussein is a Board-Certified Pediatrician and a Fellow in the American Academy of Pediatrics who has been in practice in the Dover area for the last 11 years. Kim is looking forward to joining Dr. Hussein and making the transition into pediatric primary care. Dr. Samar Hussein graduated from Ain Shams University in Cairo, Egypt and is a graduate of Howard University Hospital. Dr.Samar specializes in pediatric and emergency medicine. She is currently practicing at the Hospital for Sick Children PediatricCenter and is affiliated with Children's Hospital in Washington DC. Kids & Teens Pediatrics of Dover, DE area, loves caring for families and their children by providing the best in pediatric care from babies to adolescents. We take the time to personally get to know every parent and child and to address individual health care needs. With comprehensive care and a thorough list of services, we take care of the entire child, providing all their treatment needs from birth to their young adult years. Our office is physician owned and operated and run by our Head Licensed Pediatrician, Doctor Osama Hussein. With a doctor making the decisions, you can be sure that the care of your child is of the utmost priority to both Dr. Hussein and our staff. Our staff is warm, caring, and compassionate. We take the time to listen to all our patients needs, and at our office if you call with a question about care, the doctor always calls you back! We love our community and live in the same areas as a lot of our patients, so we care about local teams, organizations, schools, events, and more. Providing proper healthcare and education to the children and families of our community is what we do! “Dr Hussein has taken care of my children for 9 years. I cannot express how professional and compassionate Dr Hussein is when dealing with his little patients. I highly recommend without any reservations that Kids and Teens Pediatrics would be a sound choice for your children's health care. You will be greeted with beautiful smiles from his incredible staff and provided the utmost professional care."